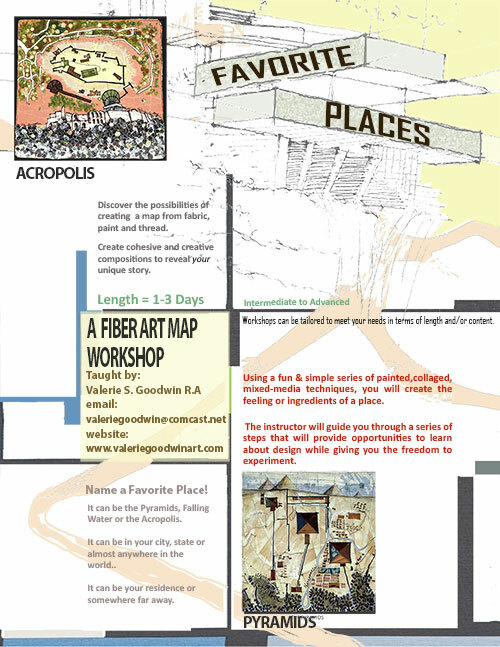 Register for Favourite Places here. The fee for this one day workshop is $150. This fee includes the kit charge for this class. 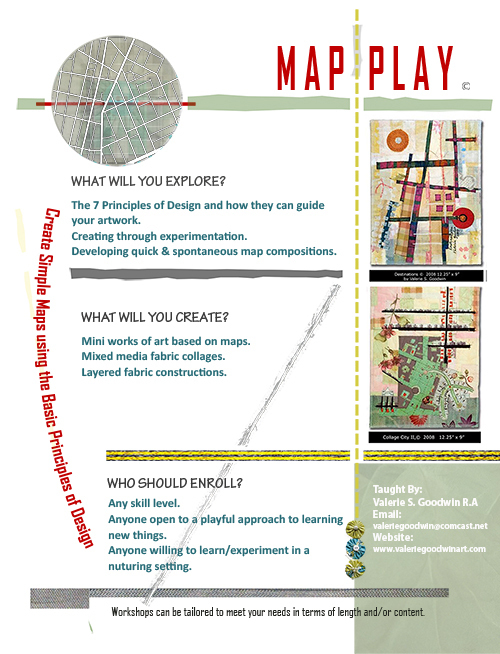 Register for Map Play here. The fee for this one day workshop is $150. This fee includes the kit charge for this class. Valerie’s trunk show will be scheduled for Sunday… details soon. If you attend either the Friday or Saturday workshop, your admission to the park- and parking! !- will be free. So plan on coming back on Sunday to see the quilts on display, and attend Valerie’s workshop. We can promise another exciting Quilts at the Creek for 2019!